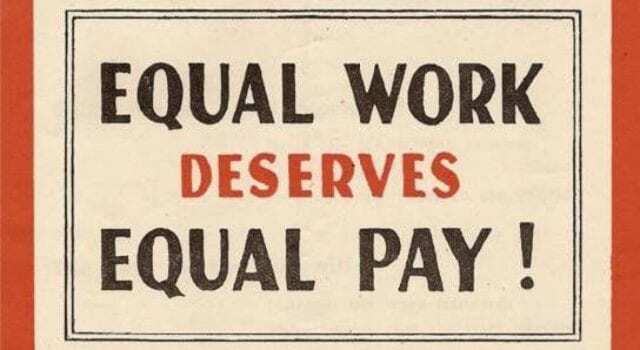 Equal pay starts at home! 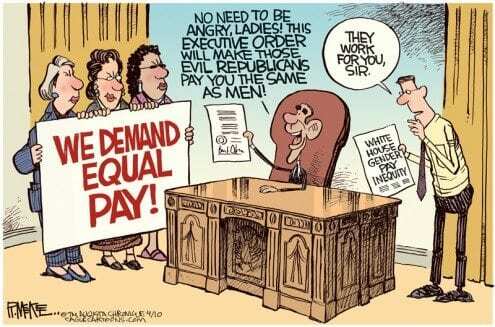 Equal pay starts at home, at least that is what his Highness King OBLAMO thinks. In a speech this week, the guy who claims he knows the Constitution, knows what the people want, and, well, he just plain knows everything, hasn’t figured out that we didn’t elect his wife. She wasn’t on the ticket. OK, you got me. There are a lot of things he hasn’t figured out yet and, with any luck, won’t before the end of his “kill America” campaign. Mrs. Oblamo consistently complains about her role, about her prison, about American, and now she wants to be paid for it? Really? She has more “aids” than any 20 prior First Ladies combined! She wastes more taxpayer dollars on personal vacations and shopping sprees around the world than any 40 First Ladies combined. Hey, professor, she has a voluntary job! One that she knew required a lot of work to represent this country. It’s called public service. When you spoke to Michelle before you ran the first time didn’t you guys agree that it would be a sacrifice, one worthy of the work for this great country? Didn’t you discuss the significance of you being the first REAL Black president (Clinton being seen as the first honorary black president) and the first black family to inhabit the White House… a house that you live in free of charge, on top of your salary, with full protection for your entire family. Next articleUnder God: 5th straight win!